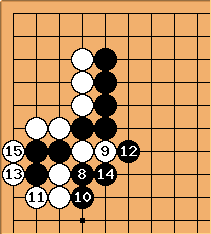 Tasky: I started lately to open at 5/5, and the joseki coming up goes like that (from kogo's). 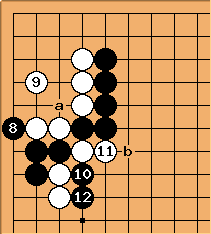 The joseki dictionary then continues with a,b,c,d but often my opponent just cuts at d instead of a... What's the correct punishment and how to avoid losing the stone (or giving away to much thickness while crawling low)? fractic: - is a usual way of playing. 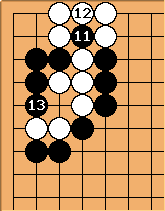 fractic: If the ladder favors Black then he can play a double threat ladder maker with and . However playing just like this let's White connect with - . 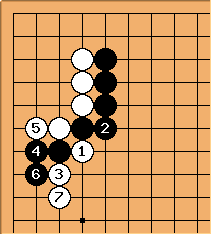 fractic: Therefor Black should first force with this . If on the outside the cut at a captures the white cutting stones. 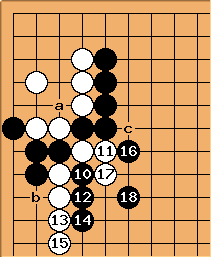 After this white can no longer connect underneath so as long as the ladder starting with b works this looks playable for black. Tasky:Ok thx, 2 more questions: 1. what when the ladder doesn't work? 2. 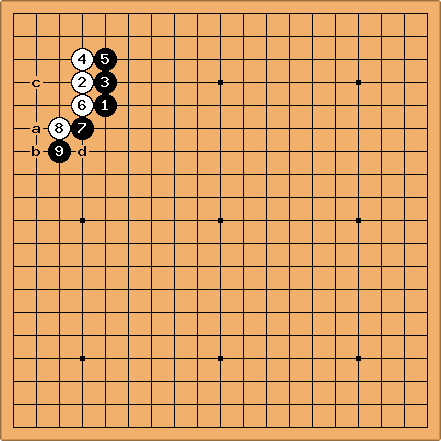 What can b do in the joseki position if w doesn't play c? JoelR: Unlike on the double threat ladder maker page, c is not atari, so the - - sequence doesn't save the upper stones - Black catches them in a net. fractic: Umm why not at b? Black doesn't have time to go play a net. JoelR: Oh, you're right. My mistake. 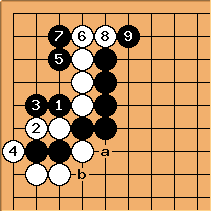 JoelR: If White omits c, this looks fun for Black. 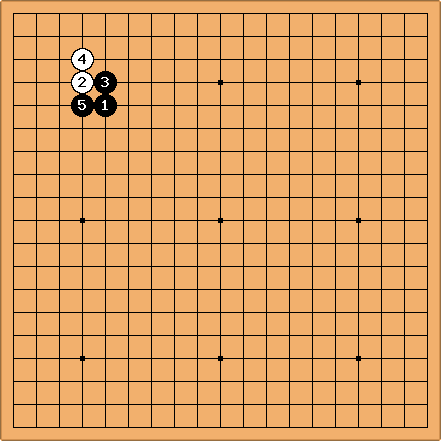 Bill: How about avoiding the problem completely with the turn at 5? 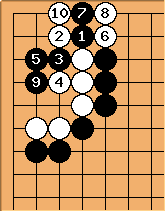 :) That seems more in the spirit of the 5-5 opening than the purported joseki.